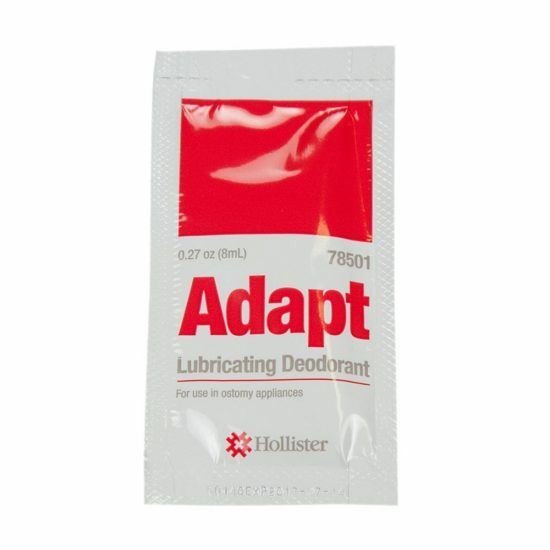 This pouch lubricant and odor neutralizer helps provide a level of confidence and security. Lubrication eases emptying and helps prevent pouch static and sticking. The deodorant (not a perfume or masking agent) neutralizes the odor. For use with drainable or closed pouches. Use with each pouch change or after pouch is emptied.